With medical marijuana coming to Maryland in 2016, one local university is getting into the business. Earlier this week, Frostburg State University announced that it would partner with DC-based Peak Harvest Health, in an effort to become the state’s first legal marijuana grower. This is a huge step for the school, which wants to study and participate in the process of growing marijuana as medicine, in order to create a healthy sustainable treatment option for Maryland’s residents. 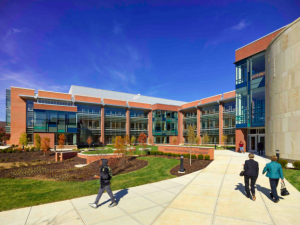 It’s no coincidence that Frostburg State will be the first University in Maryland (and the region) to make a strategic partnership with a medical marijuana company. Frostburg is one of the only educational institutions in the country that has an “ethnobotany” department. Ethnobotany is defined as the scientific study of the relationship between people and plants. By partnering with Peak Harvest, Frostburg State will be able to study how legal medical marijuana cultivation affects the local population, economy, and health standards in Maryland. Peak Harvest is run by Peter Kirsch and Kevin Gibbs, both with extensive knowledge of the Maryland and mid-Atlantic markets. Their company currently runs medical marijuana cultivation facilities in Minnesota and Connecticut, and they’ve had huge successes in their initiatives there. In Maryland, they’re looking to get in on the ground floor, and developing a positive cultivation culture under Maryland’s new legal guidelines. “We’re looking forward to sharing our operational experience and expect significant contributions to be made to the overall understanding of the medicinal value of the plant,” Gibbs said. Despite the major commitment from both entities, the partnership between Frostburg State University and Peak Harvest in dependent on Peak being awarded one of only 15 grower/cultivator licenses in Maryland. So it’s a big risk, they’re taking, but one they are willing to pursue in order to get a piece of Maryland’s market. It will be interesting to see, should they get their license, how a university can help improve the study and implementation of medical marijuana. And it may lead to other nationally recognized universities following suit.